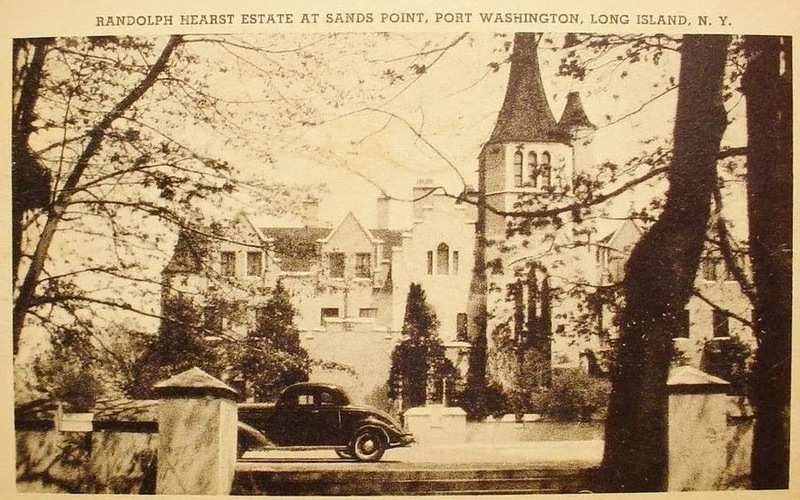 'Beacon Towers', the Alva Vanderbilt Belmont estate designed by Hunt & Hunt c. 1917 in Sands Point and pictured here under the subsequent Hearst ownership. Click HERE for all previous posts on 'Beacon Towers'. Zach, that post card of Beacon Towers is a gem of a old find. The car in the forecourt gives a bit more scale to the structure that is often lost. That is a very good spot... and very strange. The entrance almost appears as a blank wall in the postcard.